The temperatures have been down in the 30s at night so once again, it’s time to get the bees ready for winter. There’s really not a lot to do to get the bees ready. By now, I’ve removed any unused equipment and have been feeding as much as possible. I’ll start adding bee fondant to make sure they have enough food to get them through the winter. 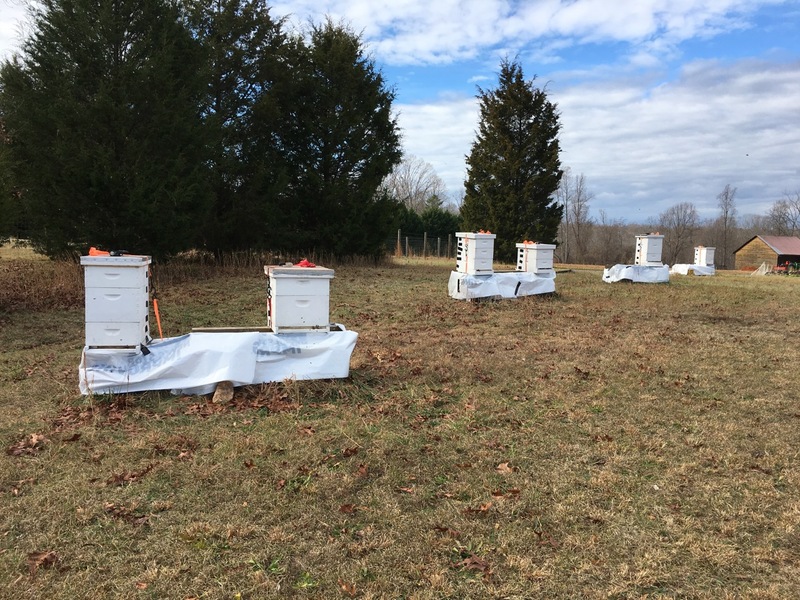 I also use the wrap to cover just the back of the hives to give them a little more protection from the north winds. There is a row of cypress behind the hives, but I’ve found that a little extra protection is helpful. I don’t wrap all the way around the hives because it will make it too warm in the hives. The bees will break cluster and eat a lot more. There will also be more humidity and wet bees is not a good idea during the winter. If the temperatures get down into the teens for a few days, I’ll wrap any of the hives that have a fairly small colony. When the temps go back up, the wrapping comes back off. The wrap around the stands is secured using staples and gorilla tape. I also put large rocks and cinder blocks in key places to help keep the wrap from being blown out of shape. The wrap on the backs of the hive bodies are secured using gorilla tape. I find this works better than standard duct tape. Check out the video below for a better view of how I wrap the stands and hive bodies.